In case you've been living under a rock & hadn't heard, there's a pretty big book to movie coming out on Friday, June 6th! 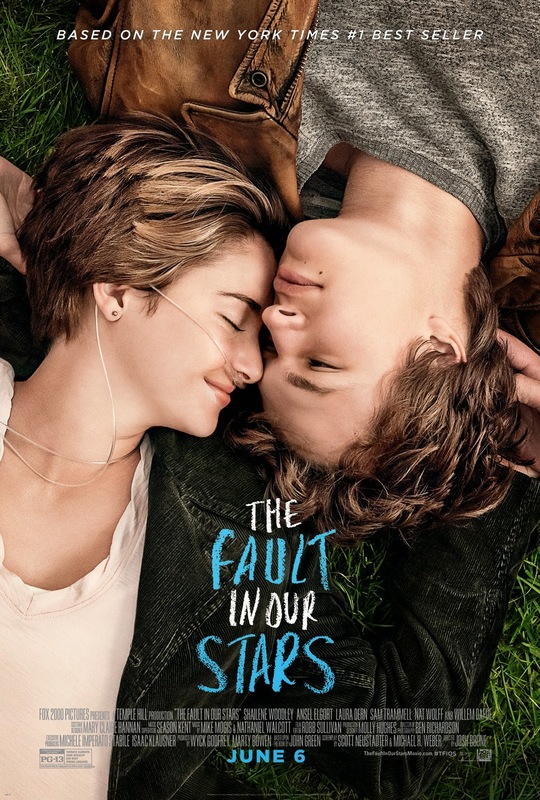 THE FAULT IN OUR STARS by John Green is hitting the big screen! I read this book when it was published in 2012 and like so many, "I fell in love the way you fall asleep: slowly, and then all at once." When I was contacted to host a giveaway for the book with the movie tie-in cover, of course I said YES! A million times yes! If you have yet to experience this story, or if you're just a fan like me, then you absolutely want to enter to win this contest. Please fill out the rafflecopter below for a chance to win the book + an awesome tote bag, good luck! I loved both Divergent and Catching Fire for YA. And for Adult I would have to go with The Town by Chuck Hogan. Best movie adaptation overall is probably the Harry Potter series. I think Catching Fire is my favorite book to film adaptation. It was my least favorite book of the series, but I'm absolutely in love with the film. I think The Perks of Being a Wallflower. It wasn't necessarily the most accurate, but I love the movie. It's not to a movie, but my favorite adaptation is Under the Dome and it's new tv series. Catching Fire was a great adaptation and pretty accurate, which is a major plus! My favourite book to movie adaptation is the 2005 version of Pride & Prejudice! My favorite book to movie adaptation is Catching Fire! thanks for the awesome giveaway! Right now, I think my favorite is Catching Fire. I absolutely loved it. Thank you for the giveaway! I haven't had the chance to read this book yet, but I really want to and then see the movie. I really loved the Harry Potter series and movies - all of them were wonderful and magical! I read the books first so watching the movies was a must, and they did not let me down! 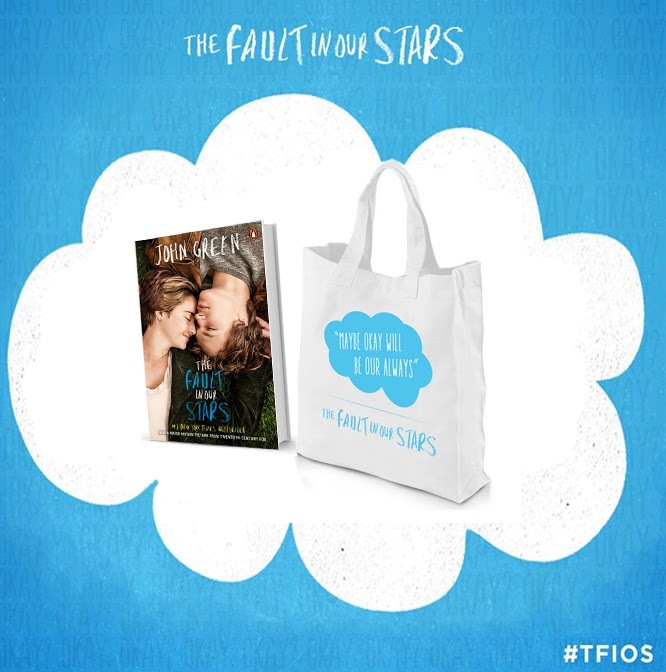 I can't wait for TFiOS as well and hope it's just as great as the book! Perks of Being a Wallflower is definitely my favorite- it really captured the essence of the book! I actually liked the Divergent movie better than the book... Oops. lol. Thanks for the giveaway! I seriously enjoyed the movie adaptation of Flipped. The setting felt authentic and the actors in the film gave flawless performances. I totally count the movie as one of my faves now. I'd have to say Catching Fire. I've never seen anything so close to the book before! Gotta agree with everyone else Catching Fire was amazing! !